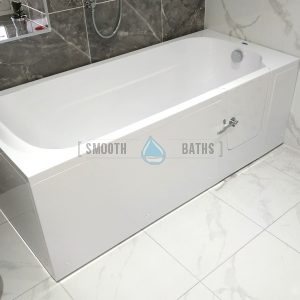 PERFECTION bathtub with glass door will give your bathroom unique style. 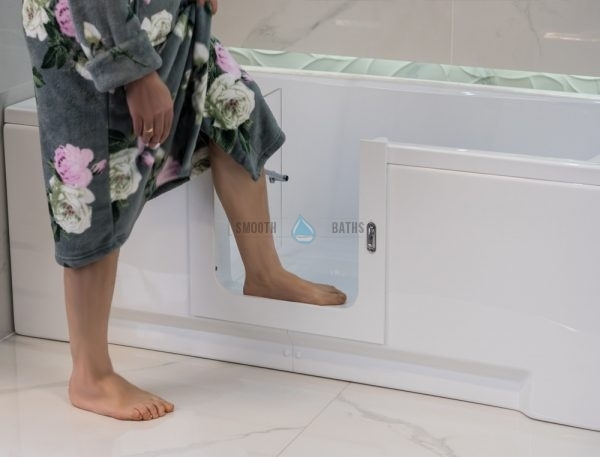 Great solution for all the members of multigenerational family. 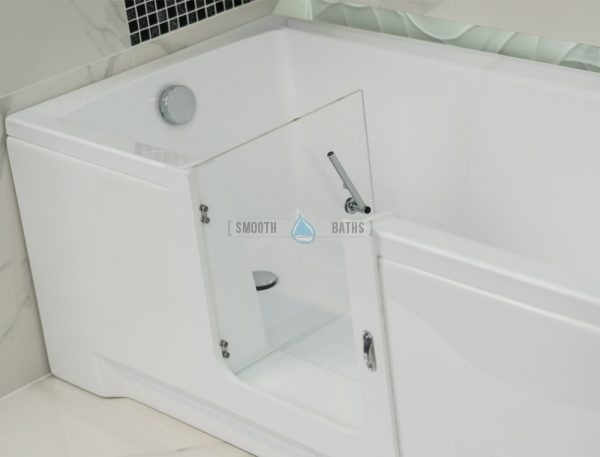 This walk-in bathtub is suitable for small and large bathrooms. 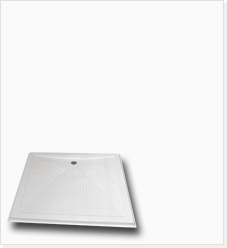 It has low step in (150 mm or 5.9 inch). Bathtub is only available in white color. 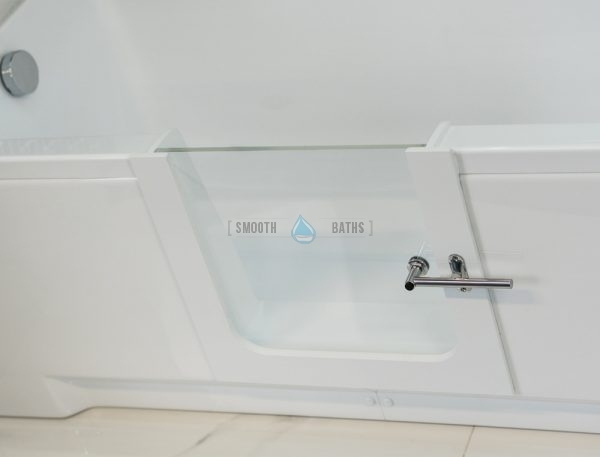 Door is positioned in the centre of the bathtub. 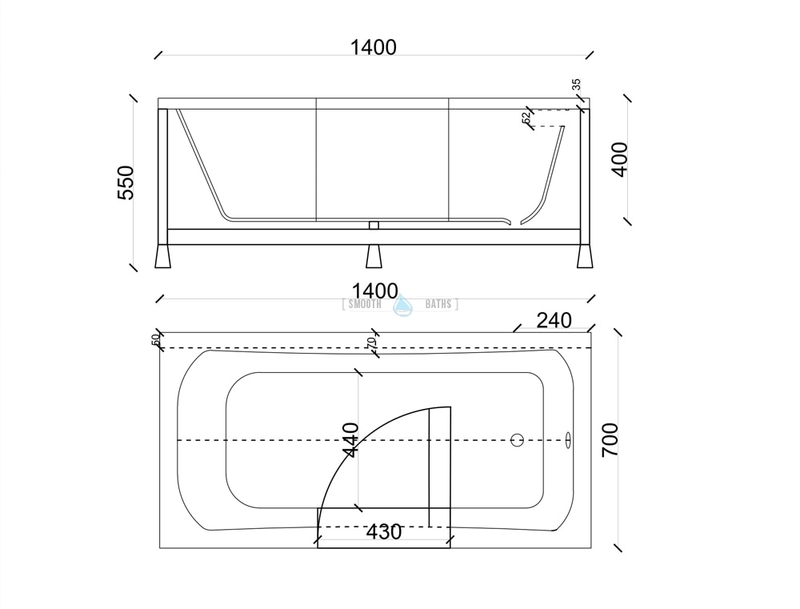 Custom positioning of door available at client’s request. 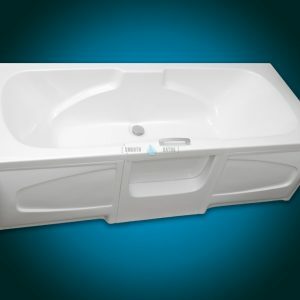 Made from highly resistant fiberglass and resin. 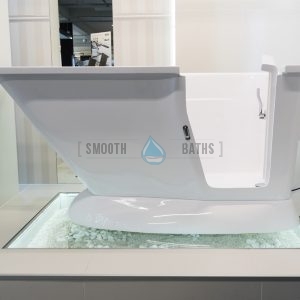 This bathtub with glass door comes without built in seat (similar to IMPRESSION walk-in bath model). 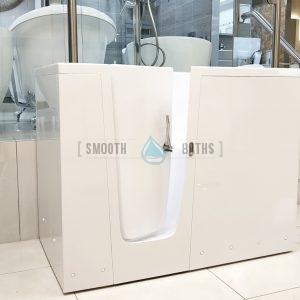 Easy to clean composite surface and therefore no need to buy any expensive cleaning agents. 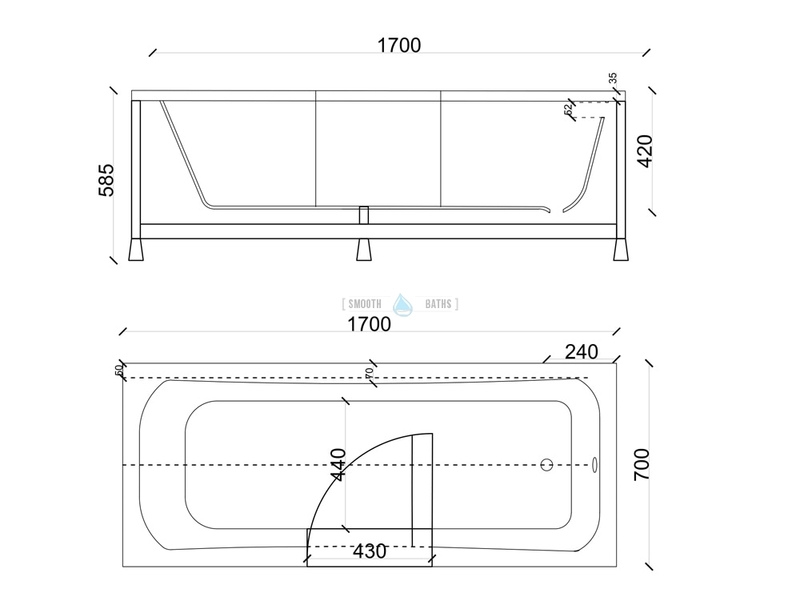 Estimated lead time: 10 working days. 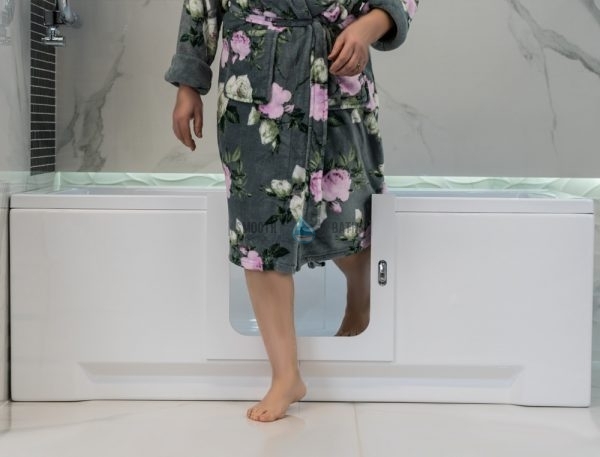 Inward door opening provides convenience in accessing the bathtub. Automatic protection from accidental opening as a result of above type of opening. Basic version includes: one front panel and one (side/end) panel. 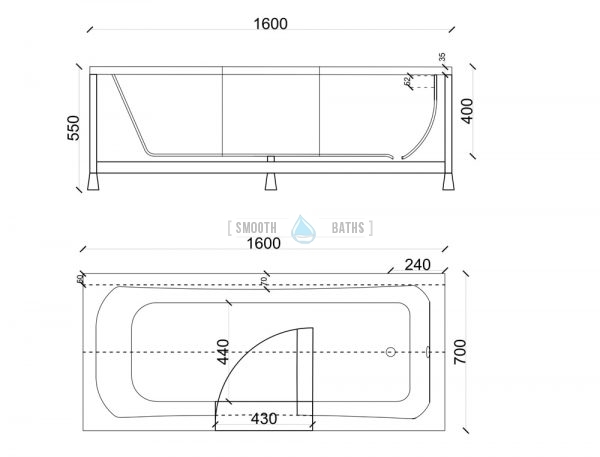 Additional panels are available to buy as a result of customer’s requirements. Anti-slip floor included as a safety measure so stress free use of the bathtub is guaranteed. Solid door handle provides accurate pressure for the door during bath times. 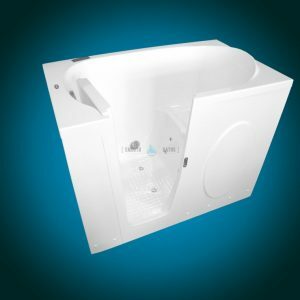 Additional whirlpool system installation is available at client’s request. 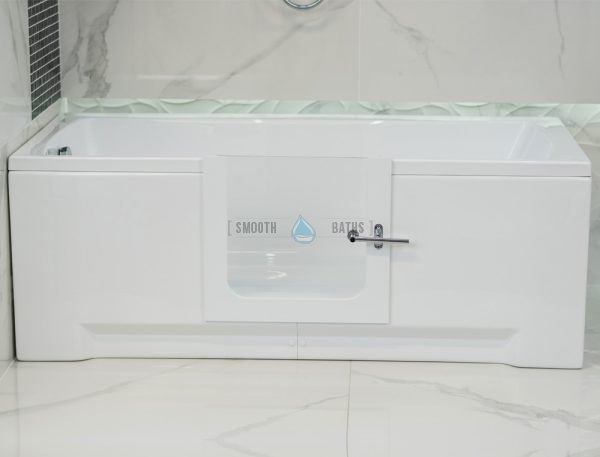 Most noteworthy is the manufacturer’s waterproof seal (lifetime warranty for water tightness). 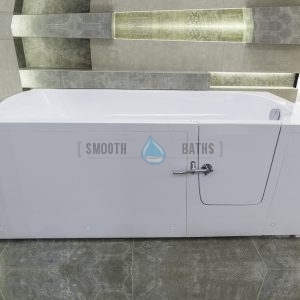 5 years warranty for this product comes as a standard. 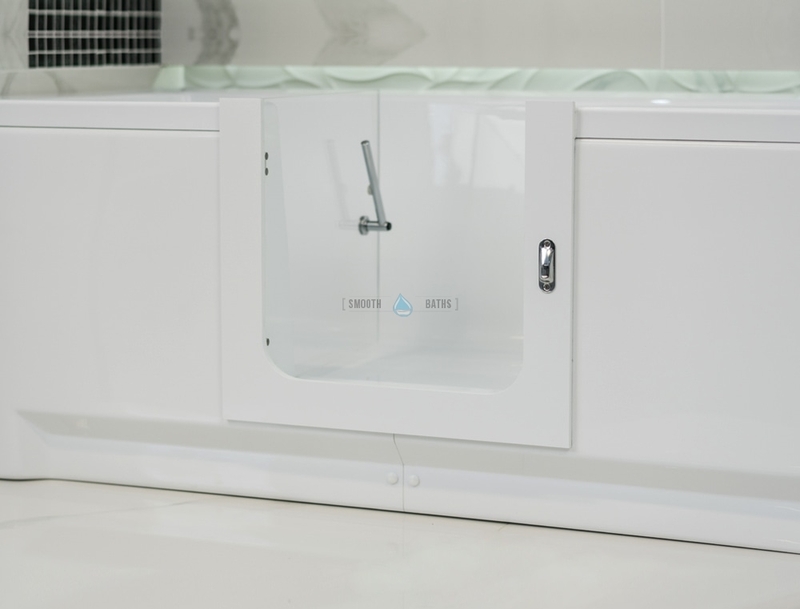 Oerflow and waste outlet system included. 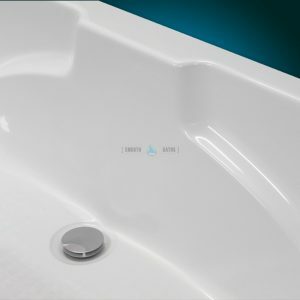 Product conforms to European CE certificate. 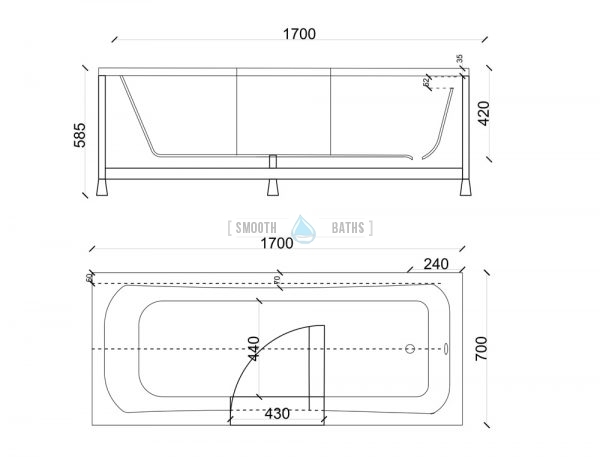 Bath has four length ranges: 1400 mm, 1500 mm, 1600 mm & 1700 mm. 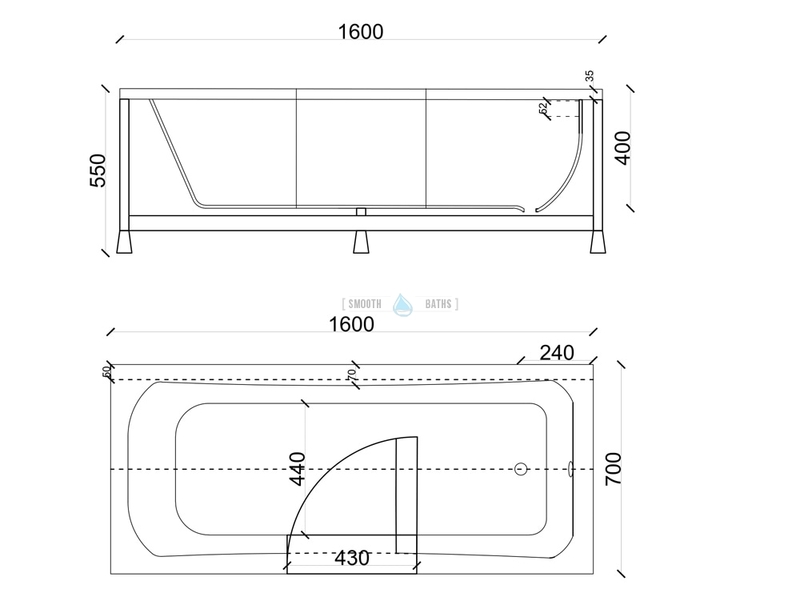 Door width of 430 mm due to new design. Bathtub construction made solid as a result of fully welded metal frame. 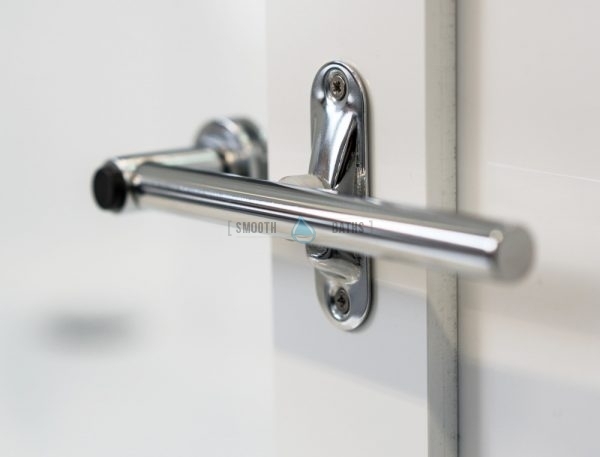 Alloy door handle & hinges are fully made from mixture of chrome and nickel. 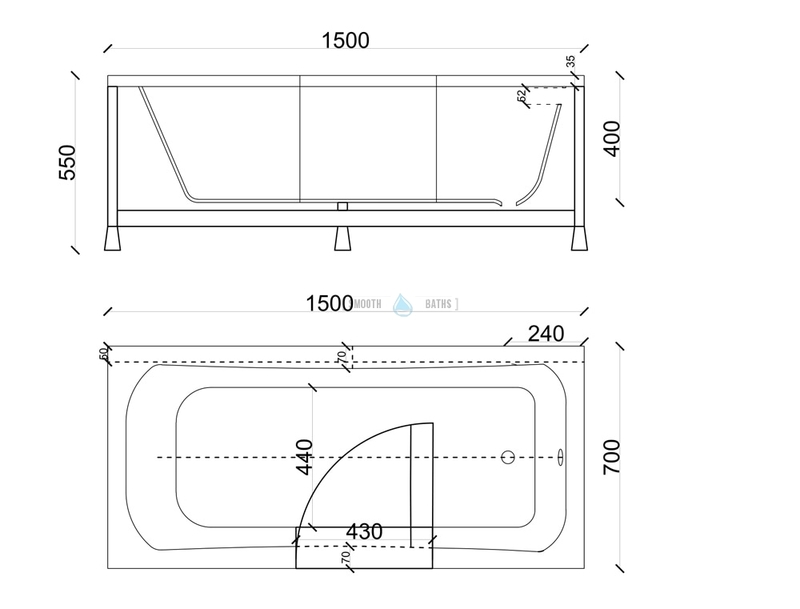 Allowable weight: up to 250 kg. 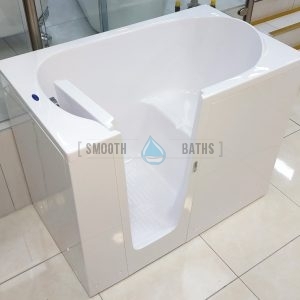 Due to unique door design estimated bath weight is at around 50 kg. 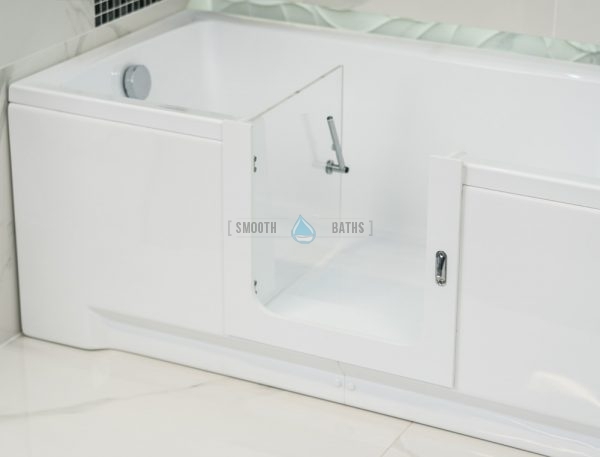 Bath allows for additional customization (length, door positioning, extra panels or whirlpool system installation). 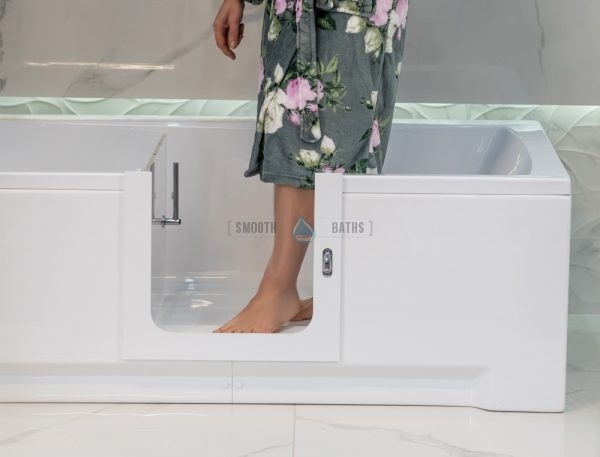 In case of any additional information required for this model of walk in bathtub please send us an email or contact us directly. Walk-in tub model that works well with multigenerational family. 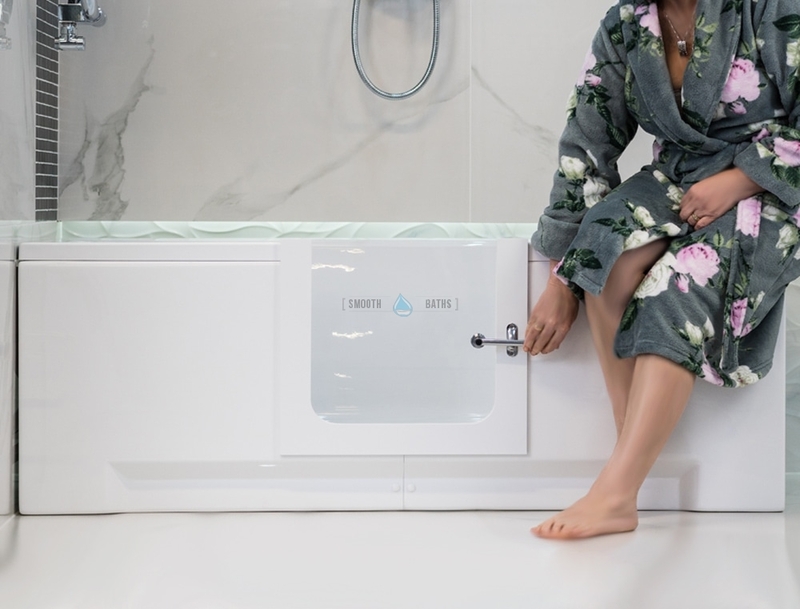 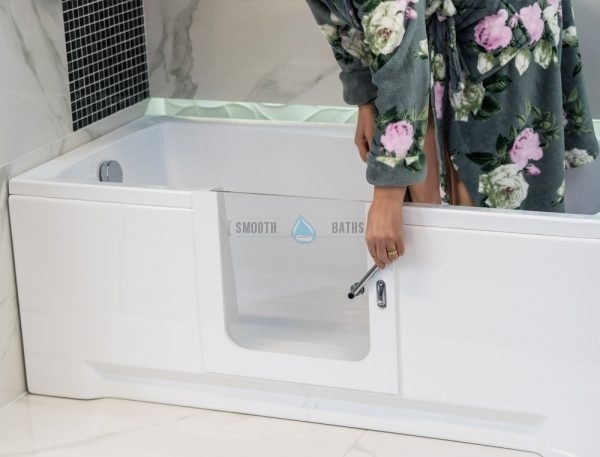 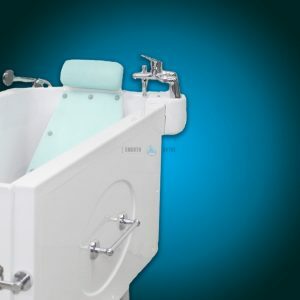 This range of bathtubs offers a safe and relaxing bathe time to anyone with mobility challenges, seniors, handicapped and people with disabilities. 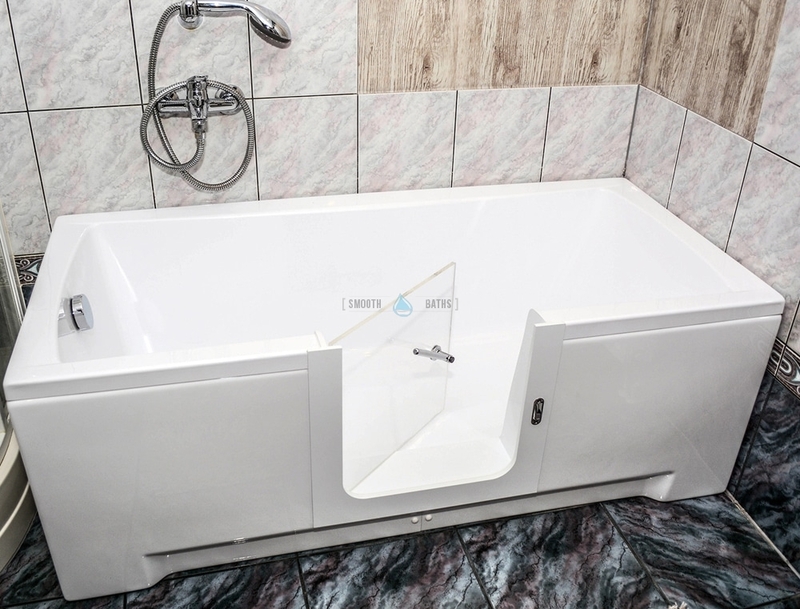 This model is available in various length sizes and also with bigger door (510 mm) for those who need wider entrance. “ELEGANCE” is a model of walk-in bathtub range that has been specially designed for the elderly and people with reduced mobility. 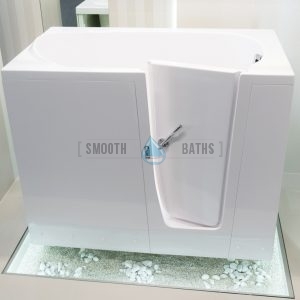 This bathtub is a practical combination of elegance and luxury in your bathroom. 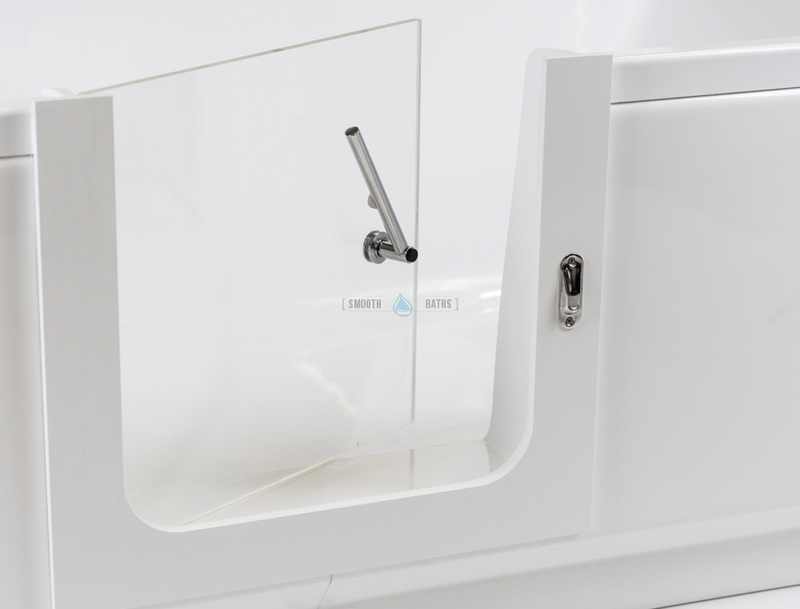 Inward door opening provides convenience in accessing the bathtub and automatically protects from accidental opening. 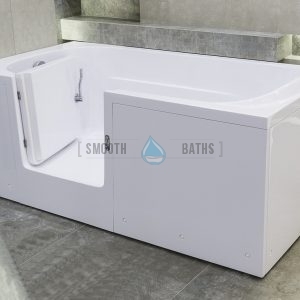 “ELEGANCE” bath series comes in two size variants to make it suitable for small and large bathrooms. 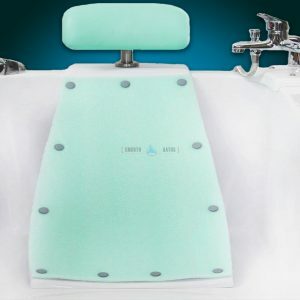 Our customized headrest and backrest for SENSATION bath are perfectly sized, well built, easy to clean and always keep your back in a correct position. 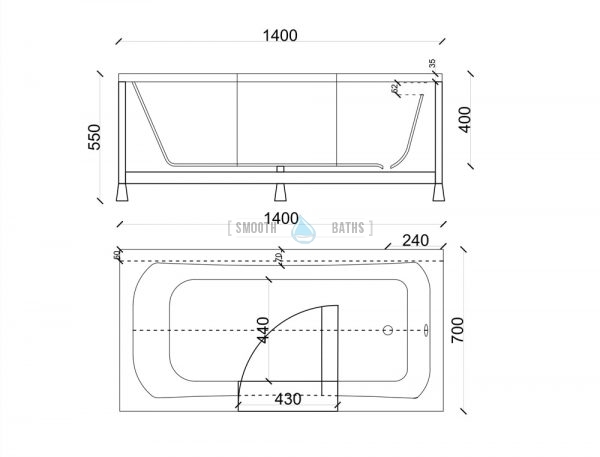 Nicely profiled waterproof head pillow mitigates risks of common injuries happening during baths. 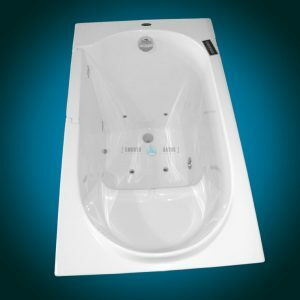 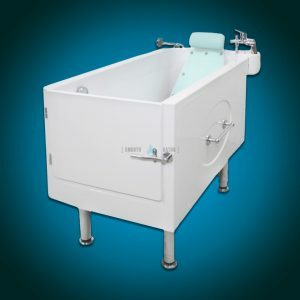 This add-on equipment is specially designed for SENSATION and SENSATION PLUS assisted bath models. This is a premium range of ELEGANCE walk-in bathtub series that’s equipped with hydro-massage system (air or whirlpool spa system). Designed for seniors and people with reduced mobility that require extra bit of comfort. 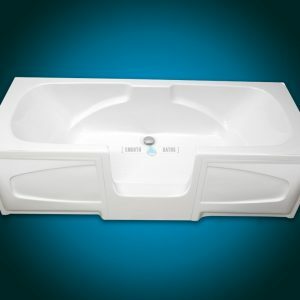 More information about each spa system can be found under Accessories category. 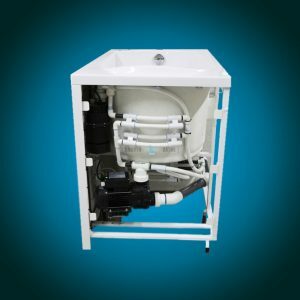 Product is now available to all Irish and UK customers (at the moment only through this on-line store). 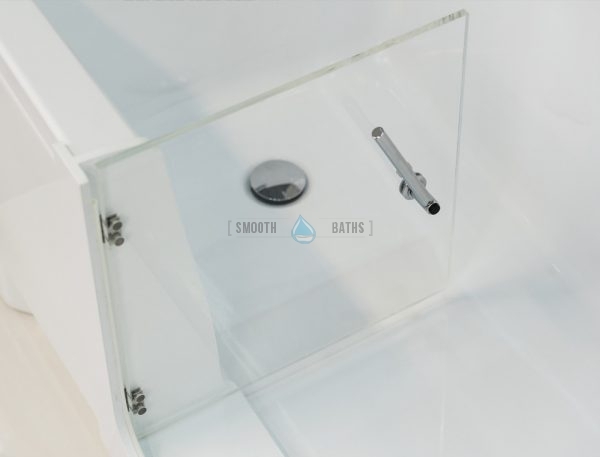 Easy Shower is a walk-in shower cubicle that can be easily installed in place of an existing bath. This type of product would not require any additional plumbing. 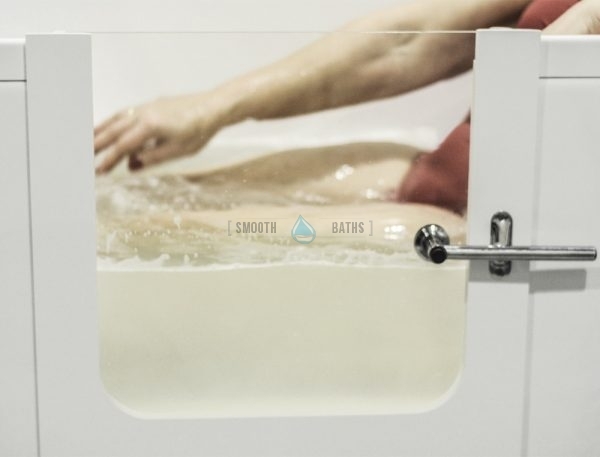 Easy Shower allows for easy access and flexibility, particularly for wheelchair users. 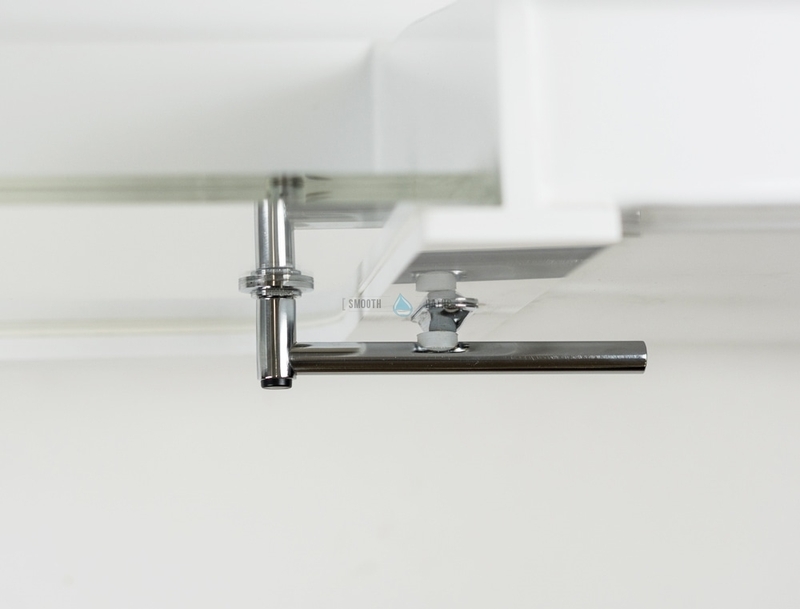 The door is positioned in the centre of the unit. Shower controls can also be positioned in the centre of the unit as the design permits it. 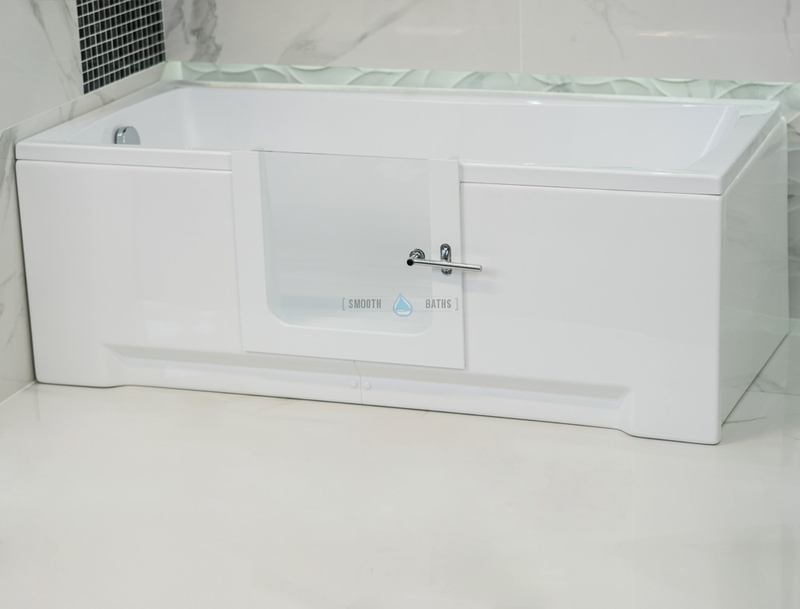 For more information scroll below to the Description page.